In the last few years scientific studies carried out in the US and Europe have added to the Mediterranean diet’s glowing roll call, with claims that it can prevent heart disease, obesity, diabetes and high cholesterol. So what foods characterise the Mediterranean diet? 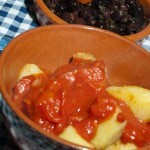 Mainly foods cooked from scratch and in traditional ways from fresh, local produce. The sun which beats down for many months of the year produces an abundance of fruit, vegetables, pulses, grains, seeds and nuts which form the bulk of the diet. Fish, seafood and poultry are eaten more regularly with red meat only occasionally. Olive oil is used in copious amounts for cooking, salad dressings and marinades and even finds its way into many cakes and pastries. I was born in the Mediterranean and consider that the Mediterranean diet is about more than just ingredients. It also sums up a certain lifestyle and an attitude that puts food at the heart of every home. Its importance is not just nutritional but also social. It is the catalyst for get-togethers, parties and festivals. It is about the pleasure of eating with others and sharing the joys of wonderful flavours cooked with love, using recipes handed down the generations. Today I thought I would give you a quick dish inspired by the rice dishes my Spanish grandmother used to cook. It includes typical Mediterranean ingredients such as rice, peppers, onions, garlic and saffron but excludes chicken or fish to keep costs down. If you need exact measurements I will be happy to provide them, otherwise just follow your instincts on this one! 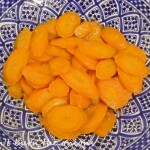 To make budget saffron rice: Chop onions, peppers, garlic and fry until golden brown. 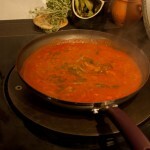 Add a tin of chopped tomatoes, a tbsp of vegetable stock, a sachet of saffron powder glug of wine (optional). Add rice and pour sufficient boiling water to cover rice with enough extra water for it to fluff up as it cooks. Cook gently for about 15 minutes until rice is soft but do not overcook or it will turn into a glutinous mass. It is best to remove the pan from the heat just as the rice is softening and allow the rice to continue cooking in its own heat for about another 5 minutes. 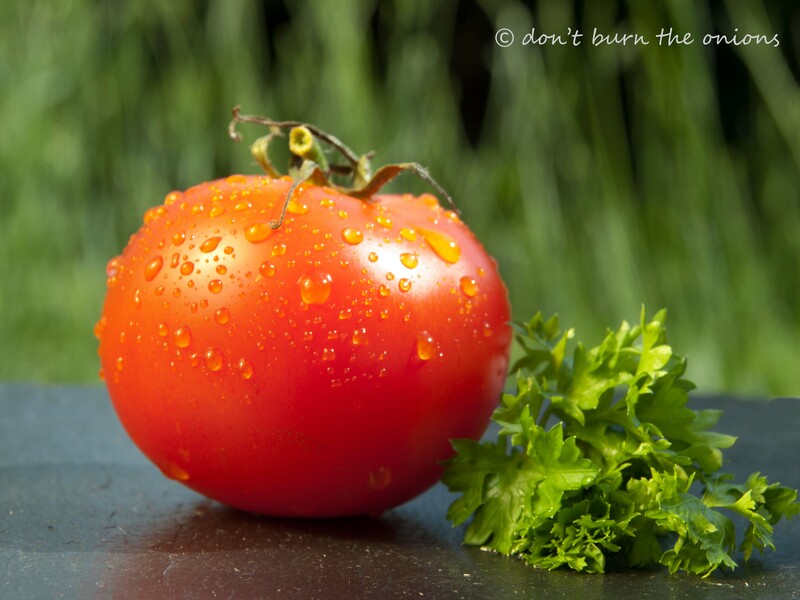 This entry was posted in All Recipes, The Mediterranean Diet, TheMedDiet and tagged cooking on a shoestring, easy, Mediterranean diet, peppers, quick, Savoury rice, Spanish by dontburntheonions. Bookmark the permalink. Thanks for your comment and glad you liked the post! 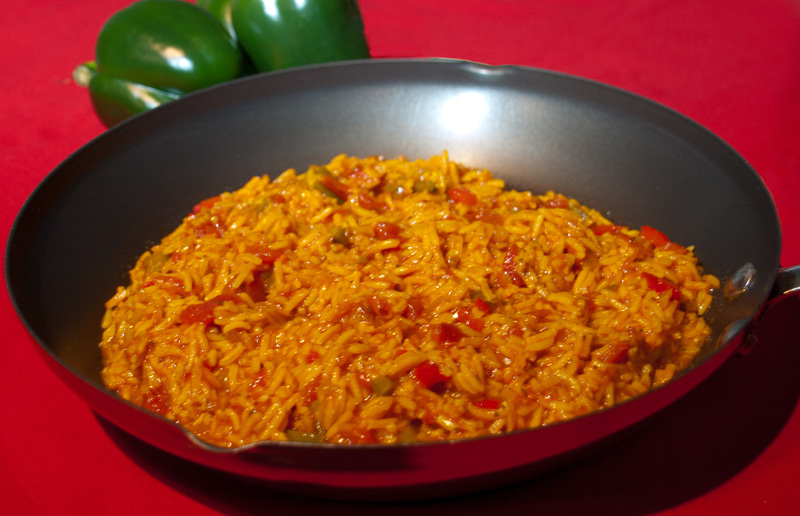 In this recipe Spanish rice works better than basmati because of the way it absorbs the sauce as it cooks. But I do use basmati rice on other occasions as it’s nutty flavour make it a perfect accompaniment to certain dishes.